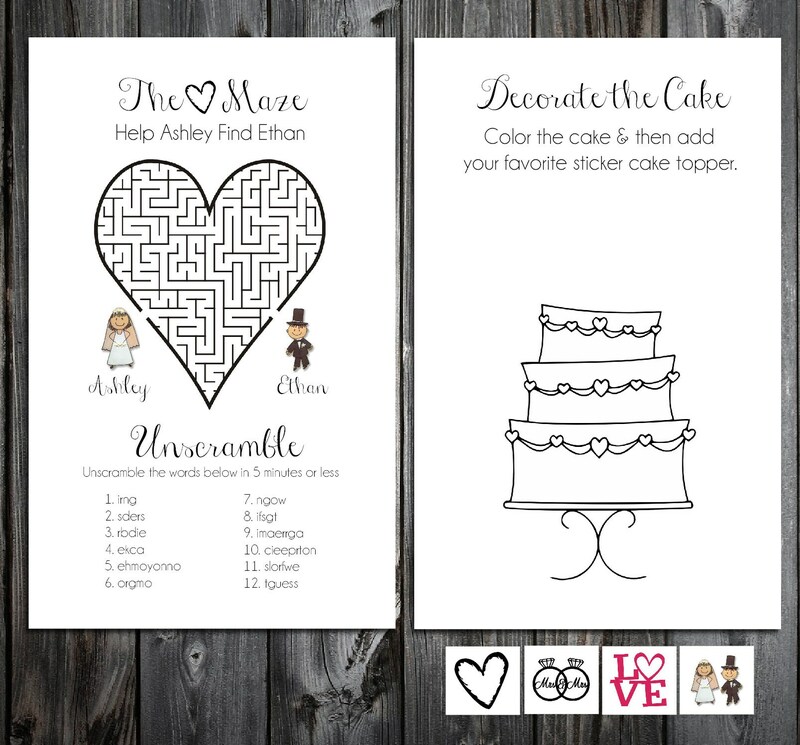 Personalized and printed wedding day activity, coloring and sticker books. 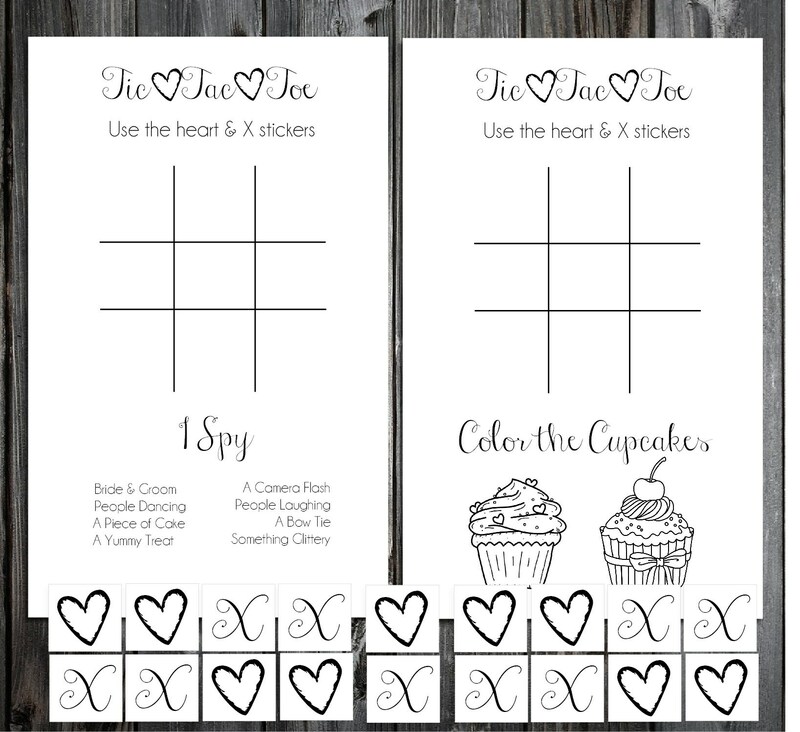 This listing is for 25 printed and personalized activity and sticker books as pictured. 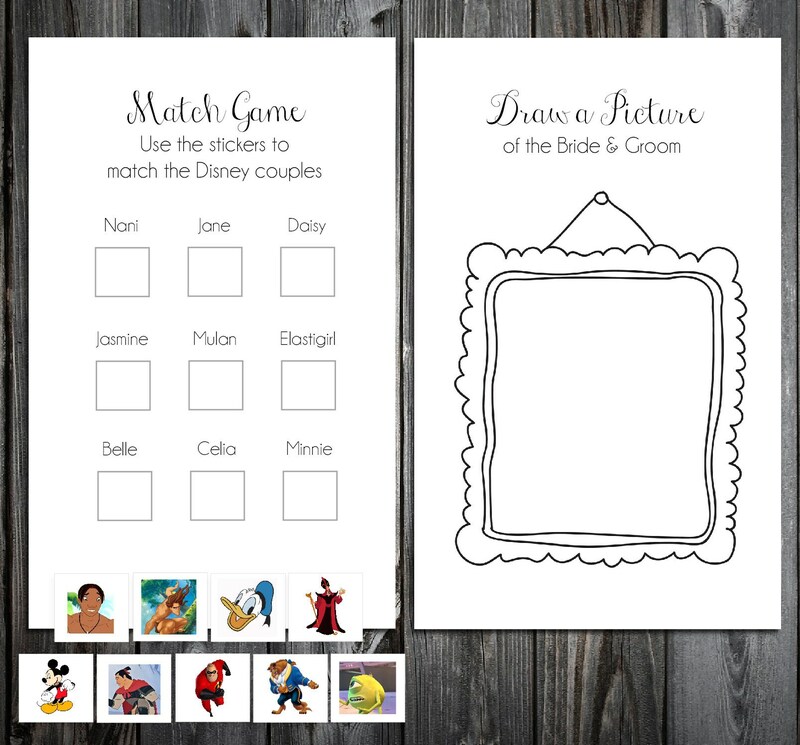 The bride and grooms names and wedding date that you submit will be printed wherever the bride and grooms names appear in the activity book. 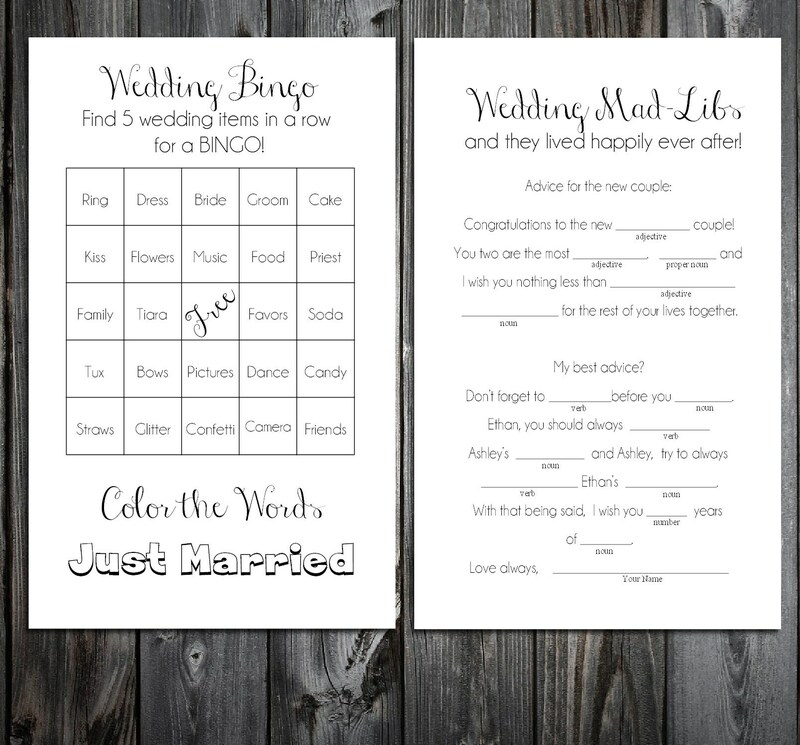 These books are a fun way to entertain both kids and adults at your wedding. 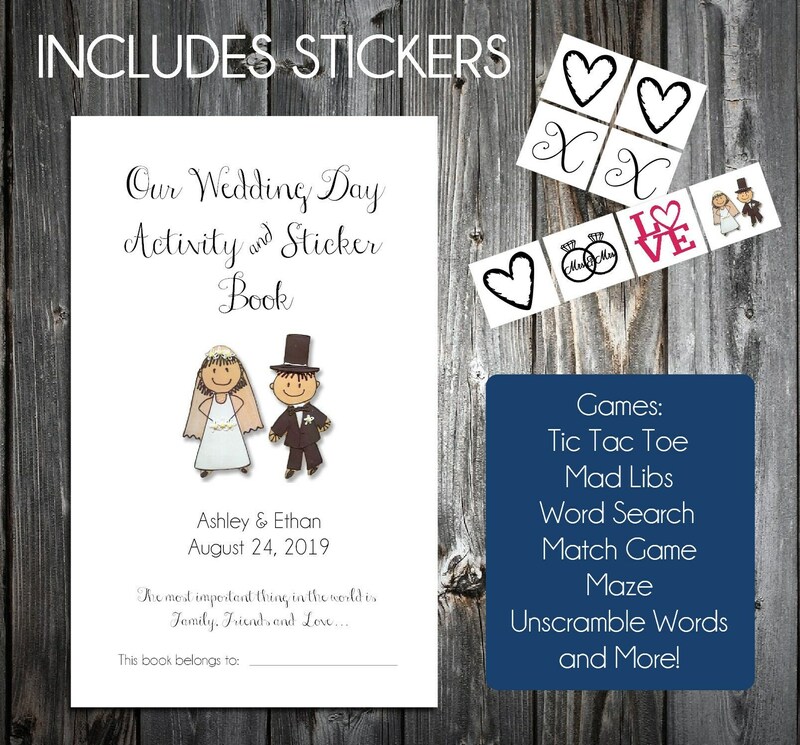 Your guests are going to love the stickers too! 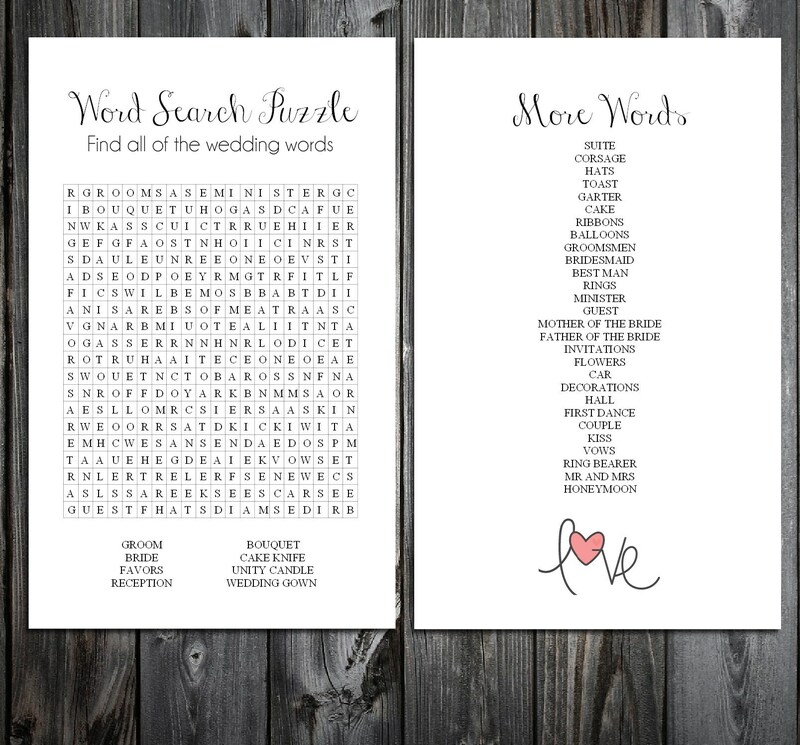 These are printed on your choice of white or ivory. and a place for your guest to put their name. Production time: Once you purchase, your order will be printed and shipped out within 5 business days. Shipping: These will be shipped priority mail and once your package is shipped out it takes 2-3 days to be delivered.